At Roadside Technologies Ltd we offer a range of products for either hire or purchase, all are designed around speed detection and reduction for use within private and construction sites. All items are simple to use and can allow security or H&S staff the necessary equipment to monitor, measure and enforce a site speed limit. All solutions run day and night on solar power alone all year round needing no mains power. This allows continual autonomous monitoring of your site collecting data such as traffic flow, average speeds and times and dates of the worst offenders. Our products which are designed for this sector are below, for more information get in touch to see how we can help. All equipment is built in house by ourselves and comes with a 2 year warranty. The PR-1000 Speed Radar Gun is simple, compact, digital point and shoot units which is operational within seconds of powering up. Users simply point the speed radar gun at traffic and the speed will show up on the LCD display fitted on the rear of the PR-1000 for the user to read. 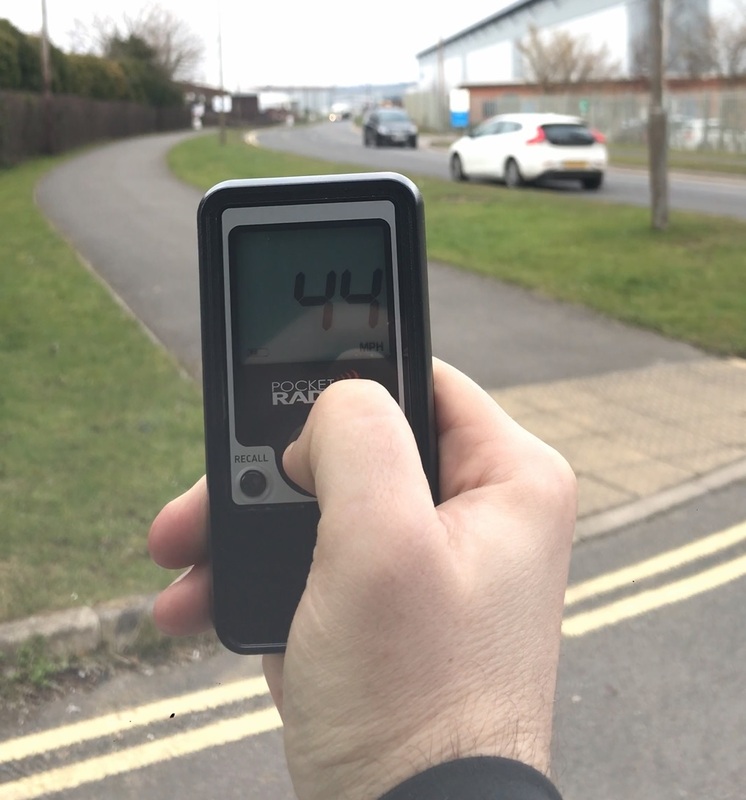 The PR-1000 will measure approaching vehicles up to 400ft away from the user making it one of the safest models available and make it the most popular choice for monitoring roadside speeds. The PR-1000 is ideally suited due to its low price point and simplicity of use. It has a recall button to show the last 10 speeds captured if data logging is a requirement. If unused for more than 30 seconds, an eco-mode will enable shut down of the radar to save battery levels. The VAS-300 range is a cost-effective Vehicle Activated Sign for improving road and site safety and reducing vehicle speeds on site access or service roads. The VAS-300 simply bolts on to a lamppost or similar object around site and measures and displays the approaching vehicle’s speed. The VAS-300 range can either be mains powered or solar powered to offer continuous operation all year round. Optional SLOW DOWN or Speed Camera modules can be added to illuminate once a speeding vehicle has been detected. Data logging is available for the VAS-300 range to produce reports for traffic speeds including time and date stamps for the worst offending vehicles. Vehicle Activated Speed Signs come in many different forms, some have digists and SLOW DOWN while some have speed roundels. All our products are built in house so get in touch with your requirements. Our Roadside Traffic Data Recorder will covertly monitor and measure traffic speeds and flow on the highways or private sites. 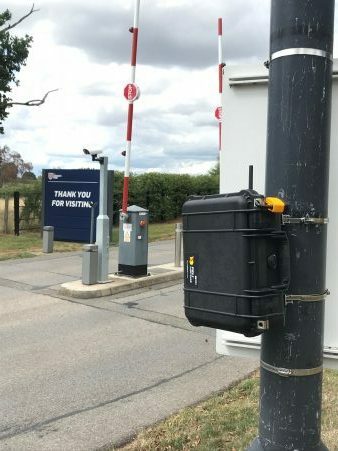 It simply mounts to a post or similar street furniture and measures passing vehicle data to show traffic volume, average and peak vehicle speeds. Roadside Traffic Data Recorders are resources only normally available for the Police or Local Authorities to install however we can offer these for Private Sites and Community Speedwatch groups. Once data has been collected, it can then be presented for review by Local Authorities for further action in an industry recognised format. Powered by an internal battery, the Roadside Data Recorder will measure traffic for up to 30 days without mains power. This can be further extended by adding a small solar panel to give indefinite operation all year round. If mounted in an inaccessible location, the Roadside Traffic Data Recorder can be remotely monitored and collected via 4G. 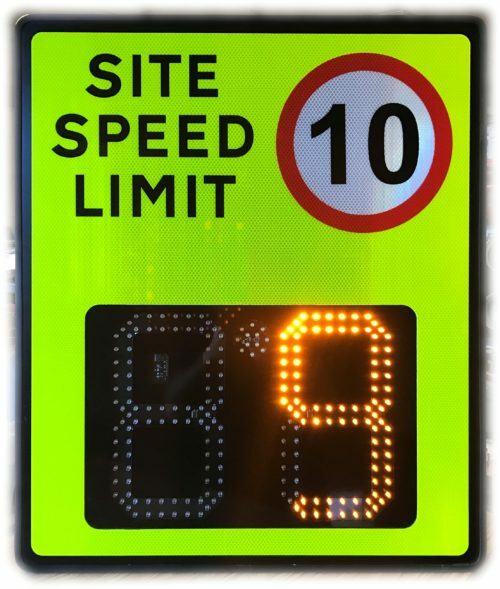 The SDB-18 Vehicle Activated Sign will measure, display and record speeding vehicles on site day and night all year round. The SDB-18 has a 12” LED Display housed within the frame along with a SLOW DOWN module fitted below. Once a vehicle is detected, it will continually track and display their speed, should they break the speed limit, the SLOW DOWN will illuminate until the vehicle reduces their speed again. Housed within the framework are maintenance free sealed batteries and solar panels to offer continuous operation indefinitely all year round. The SDB-18 has a footprint of just 750mm x 500mm making it ideal for areas with limited space. 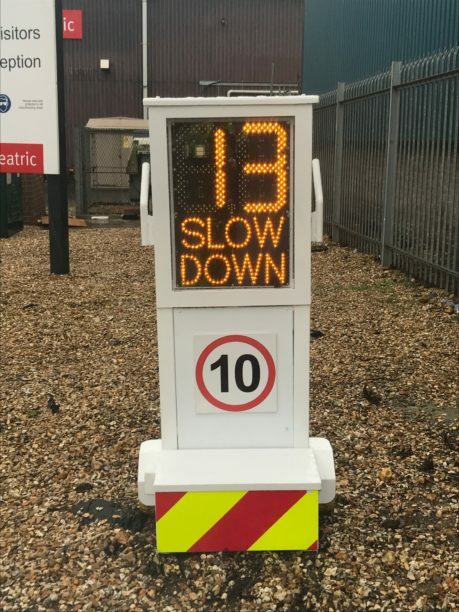 The SDB-18 Vehicle Activated Sign can produce a traffic flow survey report at the end of the hire period. The in depth report will show a vehicles entry speed, exit speed and average speed to highlight if the offending vehicle made any attempt to slow down.